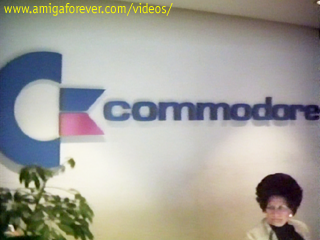 Ever since 1997, Amiga Forever has always included multimedia content of historical interest. Version after version, the Amiga Forever team at Cloanto kept experimenting with new digitizing, encoding and processing technologies. The goal has always been to better preserve, restore and make available such content, also trying to go beyond the ordinary. For example, the Jay Miner interview audio was restored using Amiga hardware and software, producing results which surprised everybody who had listened to the original tape. More recently, preparing for a new series of Amiga Forever videos, Cloanto started experimenting with superresolution technology. The term "superresolution" generally refers to the processing of multiple frames and/or cameras to produce frames that look better than any single frame from a single camera. Such technology has been in use for several years, for example in forensics, to extract more meaningful images from surveillance videos. But such applications were very expensive and had limited accessibility. Sometimes, "superresolution" has also been used to indicate relatively simple procedures such as interpolation and noise reduction (e.g. to combine data from successive frames to remove noise from stationary portions). Newer superresolution algorithms however make it possible to "really" augment the resolution and quality by analyzing motion and combining subpixel data, exposing previously "hidden" information while at the same time producing a more stable image, if necessary. Superresolution technology requires very sophisticated software and consumes a lot of CPU power. The processing of entire videos is still beyond the budget of a production such as Amiga Forever, and normal DVDs would not be able to store the resulting videos, nor would the average TV be able to display such data. 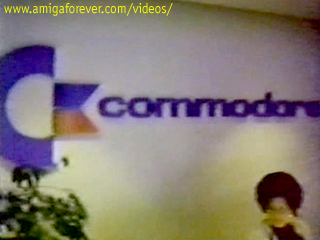 However, the Amiga Forever Video Archives effort always anticipated the evolution of video compression technology and the expectation that newer technologies could some day be applied to produce better versions of old Amiga videos. For this reason, all videos were archived uncompressed wherever possible, generating several terabytes of data in the process. 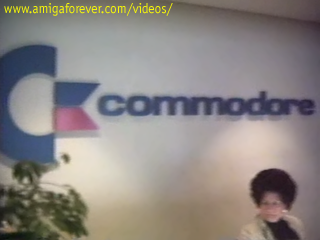 The following frames from the "Inside Commodore" video are meant to illustrate how we not only try to find the best possible video sources for Amiga Forever, but also how we enjoy experimenting with new technologies to further improve the quality of even the best sources. The first implementations of such superresolution algorithms have been some of the photographs on the back cover of Amiga Forever 2005, which contain more detail than any single frame of the original footage. We hope that, with the continued support of our Amiga friends, we will in a not so distant future be able to digitize, process and release an increasing number of videos, in stunning HD quality.